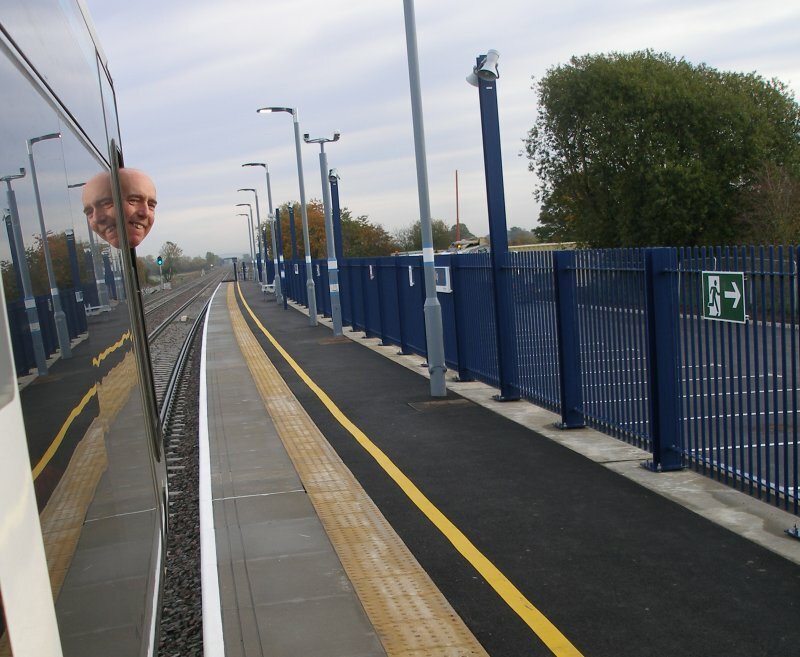 Sunday 25 October 2015 was the day that a completely new piece of railway opened in the UK. 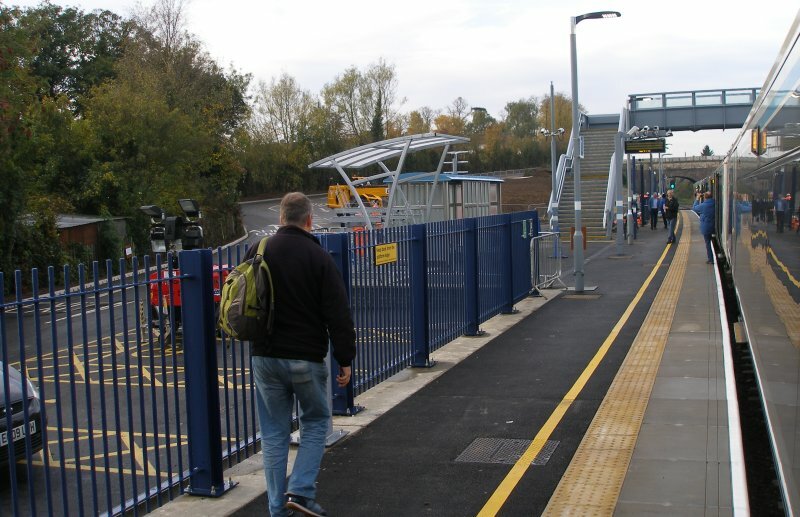 Todmorden curve and the Borders Railway to Tweedbank were re-openings of old railway alignments, whereas the double track chord between Bicester Village to Bicester South Junction is a completely new piece of railway. 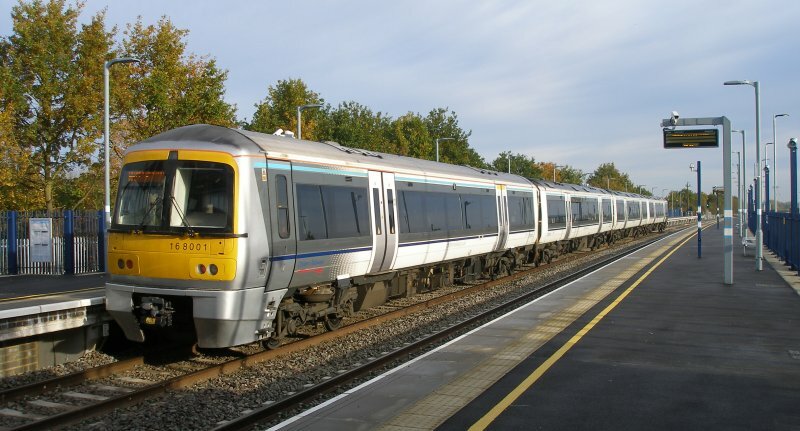 The following images were taken on the first train from Oxford Parkway to London Marylebone. 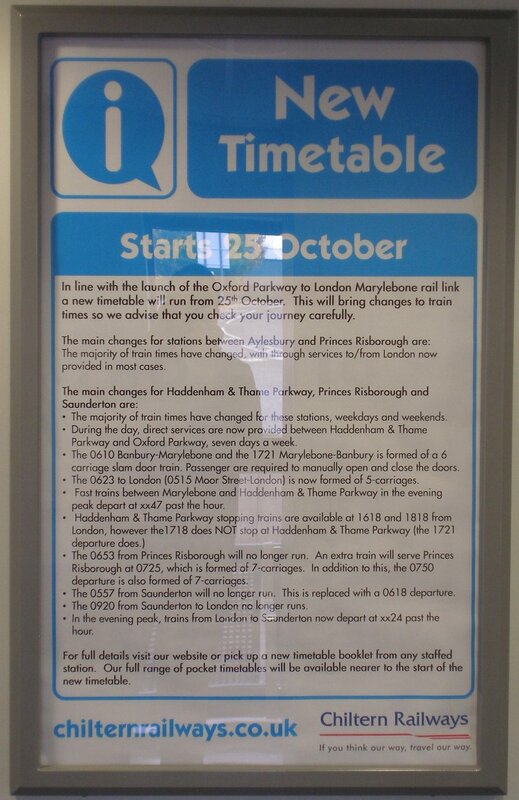 A change at Haddenham & Thame allowed a return of the first service from London Maylebone to Oxford Parkway. There were actual fare-paying passengers on both services, but by the far the largest two groups were staff sampling the service and rail enthusiasts. A clip showing the first transit is included, but sadly not of a quality one could be proud of due to the lack of provision of opening windows on the Class 168 used; a grubby window and filming into a low sun! 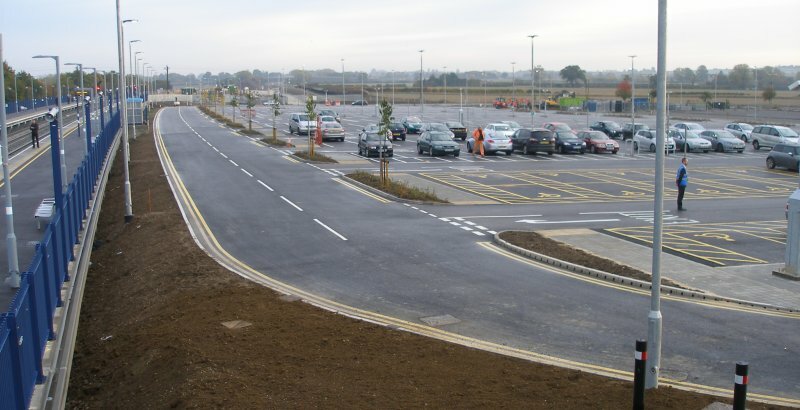 The new car park at Oxford Parkway seen from the footbridge on 25 October 2015. It was free on the Sunday. but the charge will be £2 per day to match the Park-and-Ride charge. Platforms from the footbridge looking towards London. 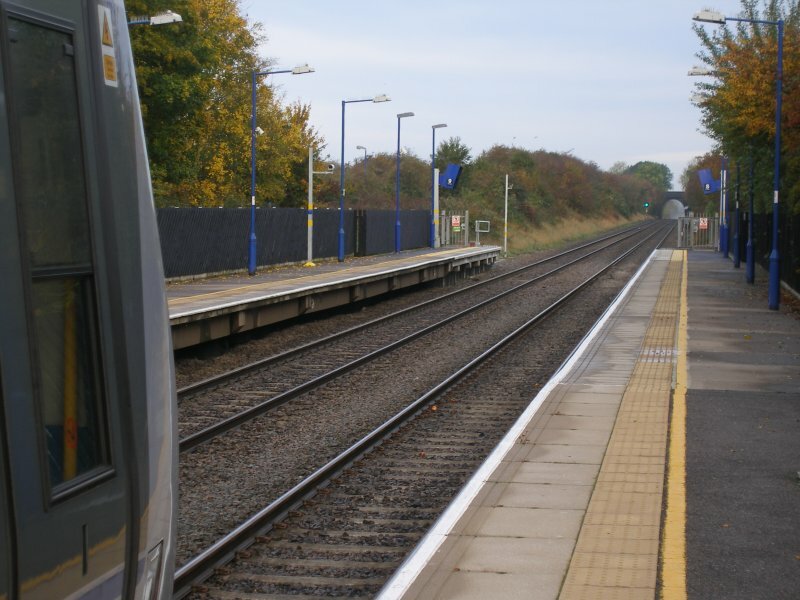 Note the cross-over beyond the platform ends allowing reversal in Platform 2. Looking towards Oxford from the footbridge. Note the orange-clad engineering staff, of which there were many at multiple locations completing a variety of tasks. The station building from the footbridge. The first train shown on the board. 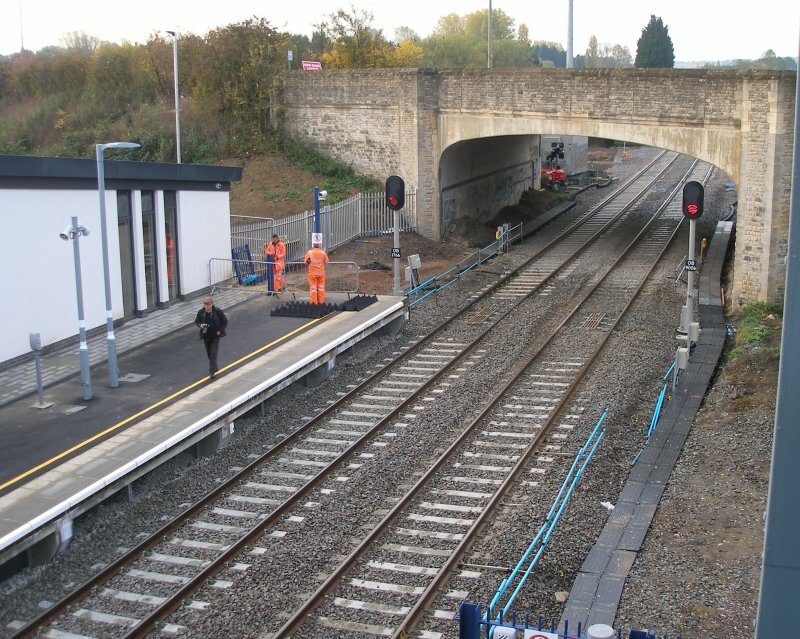 Oxford Parkway Sunday 25 October 2015: looking towards Oxford from Platform 2. Looking towards Oxford from Platform 2 showing stop blocks on both lines. 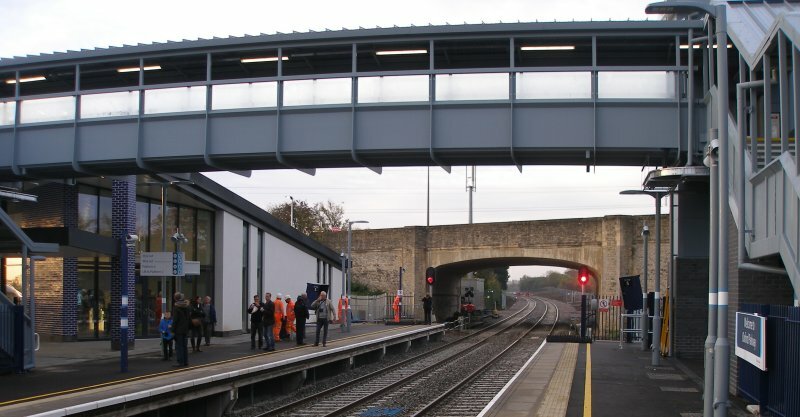 Looking towards Oxford from Platform 2 showing the footbidge and station building. Looking towards London as the first train runs in ECS from Aylesbury deport via Pinces Risborough. Looking towards London. 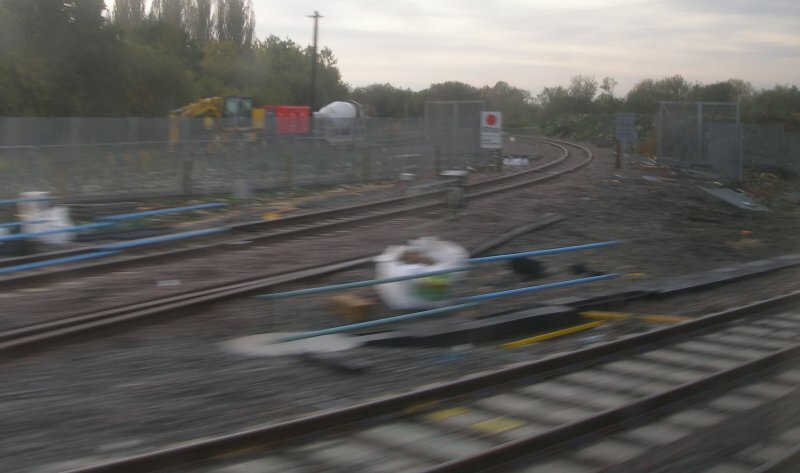 Note the engineering sidings to the right. First train runs into Platform 2. Route diagram displayed in the train. 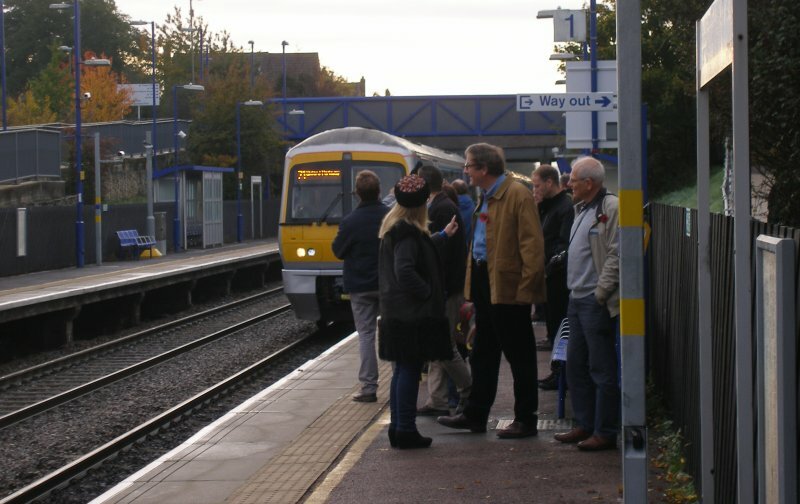 Oxford service shown with 'dotted' line. 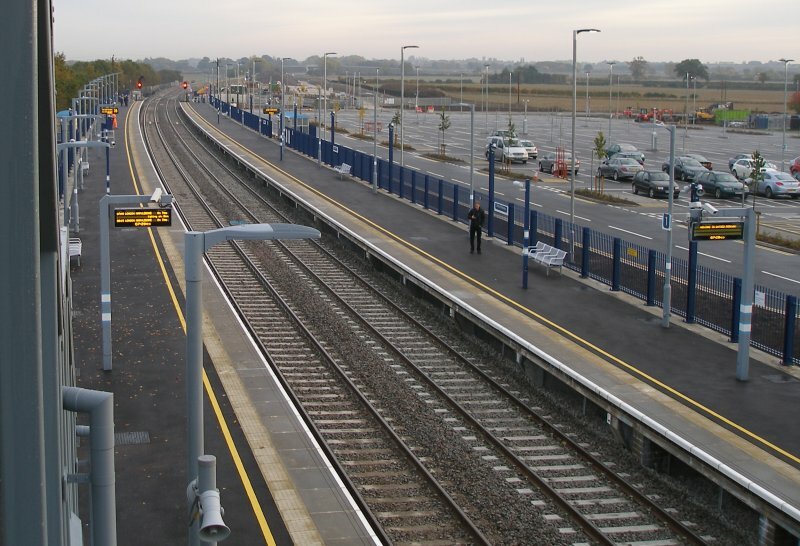 Oxford Parkway Sunday 25 October 2015: new connection to the MoD complex in Bicester. 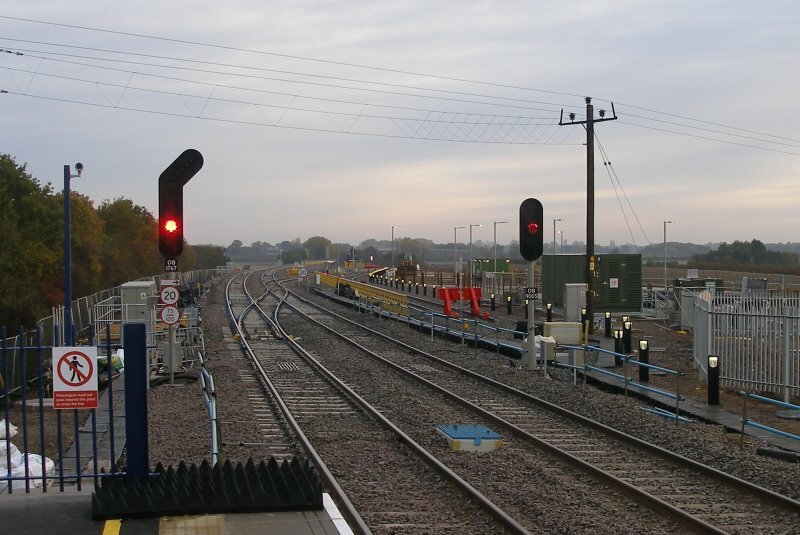 The original exchange sidings are still in situ but disconnected at the Bletchley end. 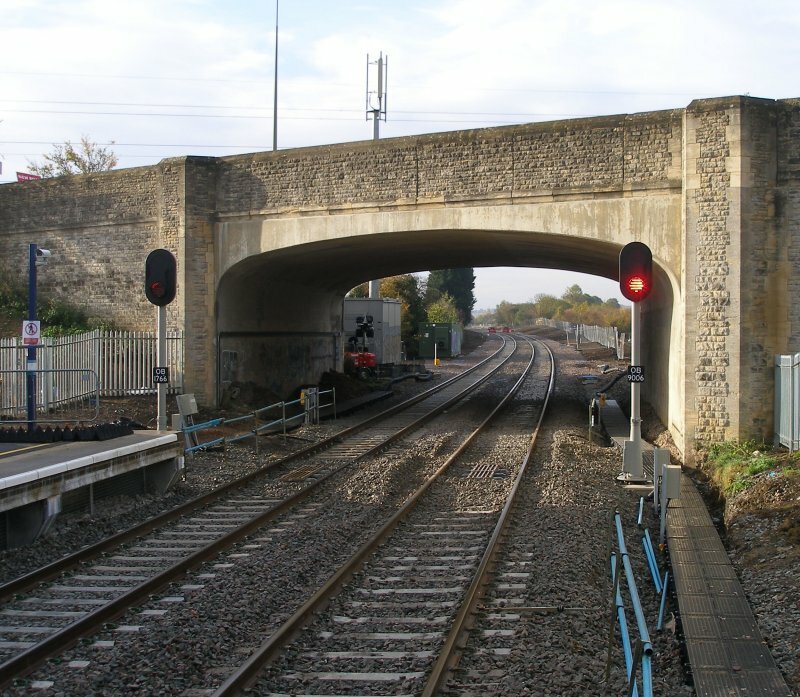 Oxford Parkway Sunday 25 October 2015: arrival at Haddenham looking towards Birmingham. 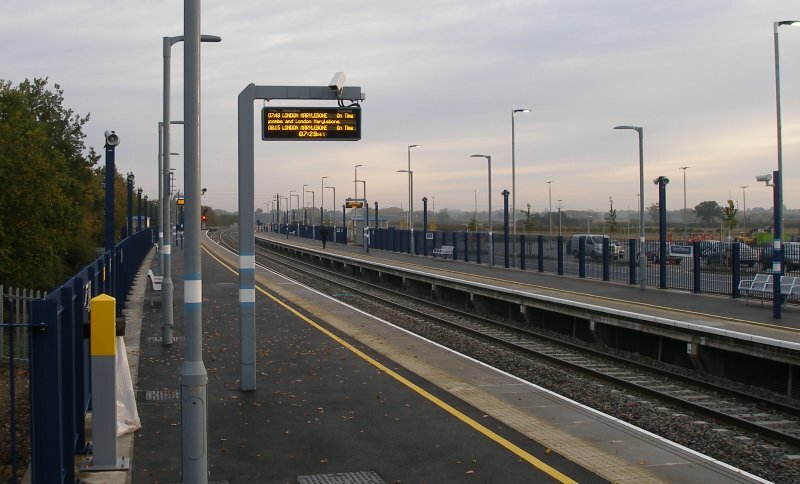 Notice detailing service changes at Haddenham. 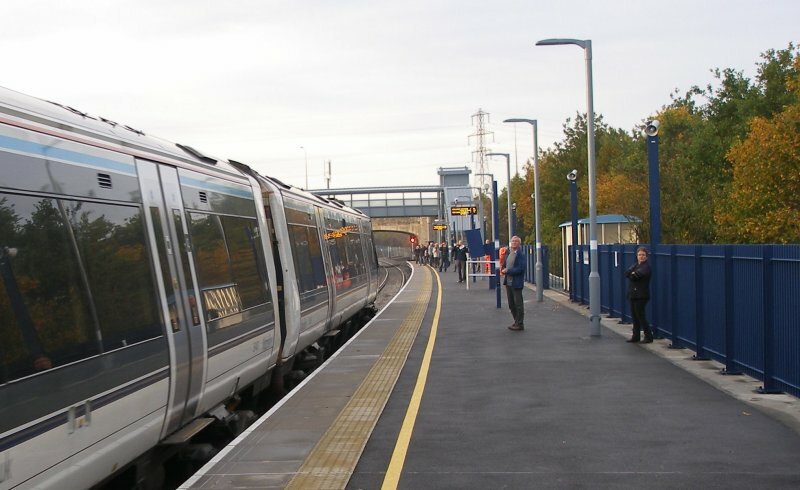 First train from London Marylebone to Oxford Parkway runs into Haddenham. Adrian Shooter in the foreground. 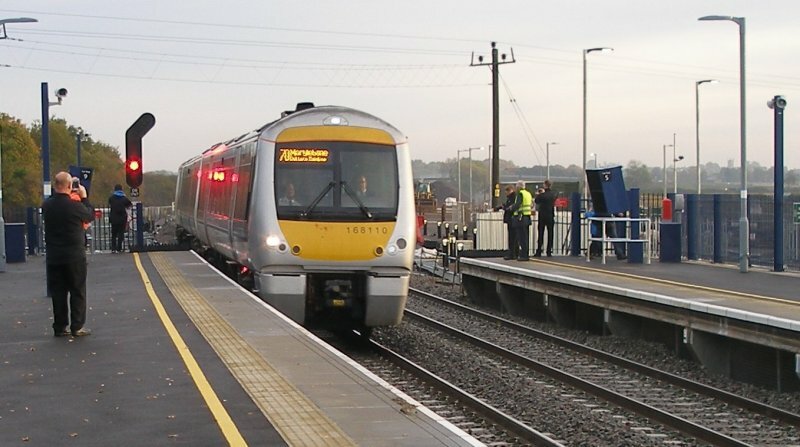 First train from London Marylebone to Oxford Parkway edges its way round the Bicester South Junction to Bicester Village chord. 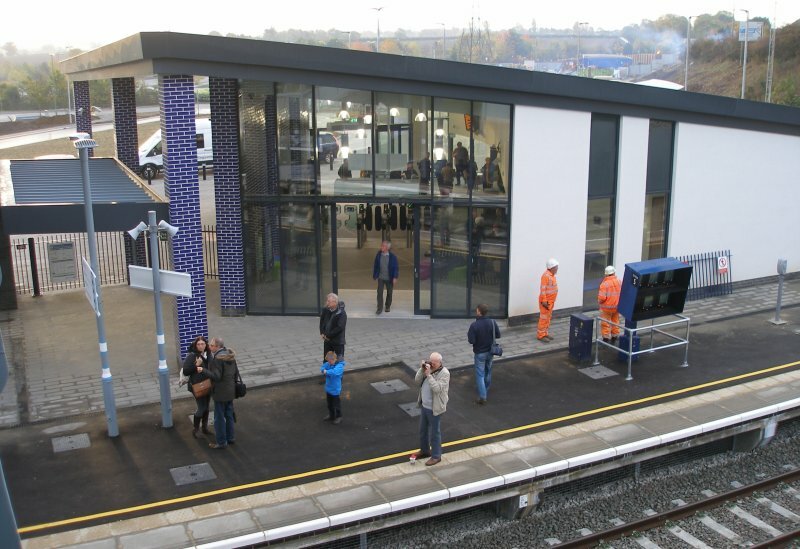 First train from London Marylebone to Oxford Parkway, and the first to call at the new Islip station. Looking back down the line at Islip. First train from London Marylebone to Oxford Parkway formed of 168001 stands at Parkway on arrival.